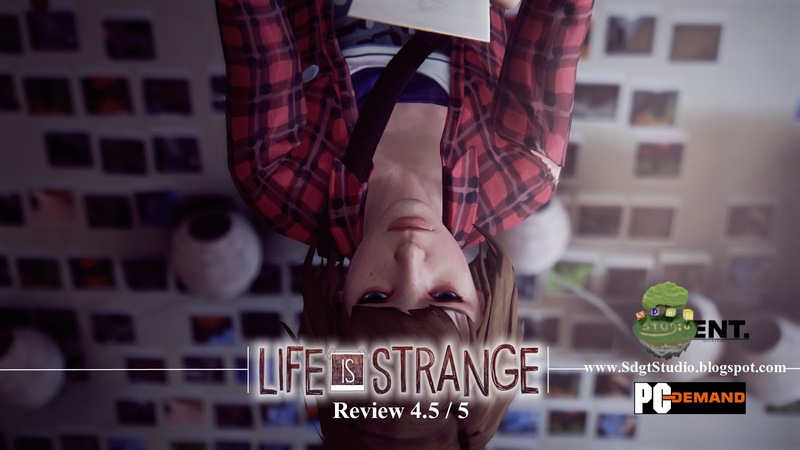 Super Duper Gamer Team Entertainment: Life Is Strange… reviewed! This game just begs to be played again… due to the choices you make. I am listing a very specific spoiler at the very bottom (because it is something I found... strange), but it won't be visible unless you drag and highlight it. In this game you take on the role of a timid aspiring photographer who goes by the name of Max Caulfield. Almost without warning, you go from just another day on campus to crazy life or death scenarios. While playing this game, you may think “Hey this feels like The Walking Dead video game”… and you’d be right, but it’s not by the same developer. What you will actually get here is complexity delivered from a different angle, time travel. Various scenarios arise after Max discovers these powers via one life changing encounter that easily has a several strings attached to it and those strings have strings attached to them (consider those… consequences). One thing that stuck out in this game is something that has been getting more attention in recent years, that being… the effects of bullying (by way of situations also including drugs). Bullying has occurred for more than too long, whether it is in schools (which shouldn’t be, especially to prevent a student from taking their own lives and/or taking the lives of other students), the work place and so forth. So I think they did a really good job highlighting a very valid situation in this game, that hopefully sheds the light on clueless parents who contribute to turning a child into an entitled brat… who then grows up at times into an entitled adult doing things they feel they can get away with because their family has the type of money that unfortunately keeps too many mouths shut (to wrong doing) the way they’ve done in the past. This is also a great story for teens and other adults who should really take the results of bullying into consideration. I won’t go too deeply into that, but on the other end… if I can increase the chance of more good being done in this world, I will say “Don’t accept… BS” and no level of excuses can greenlight harming someone when it isn’t valid self-defense. It may seem lame to even speak about this sort of stuff (especially in a game review), but the game has that sort of depth that brings up these sorts of topics (that the SDGT team disapproves of in reality anyway). The world isn’t full of only sane people… so be safe out there. 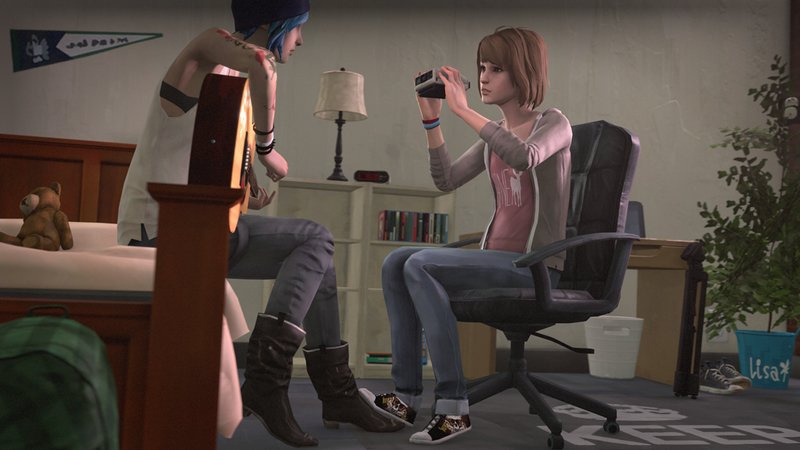 The game really came alive for me when Max started to stand up for herself and others... like her friend Chloe. There are some things I wish I could've had the option to do, like have her knock the stupidity out of someone, but it would've been out of her character. I like the way they capitalize on the art theme with painting, drawings, scribbles and photography. Don’t expect mind blowing realistic graphics visually (that’s not what this game is about), but expect an impressive visual experience that works great with the story (that addresses some realistic... issues), and even if you aren’t the person behind the controller… it doesn’t hurt being a part of the audience. Add surround sound and your experience… should be enhanced. Replay value is definitely present in this game, not only because of decisions (though you get to go back and change your decision for some if you don’t trust they’re for the best)… in addition to the alternate endings. So if you feel like you could’ve made better choices… umm (What are you waiting for? 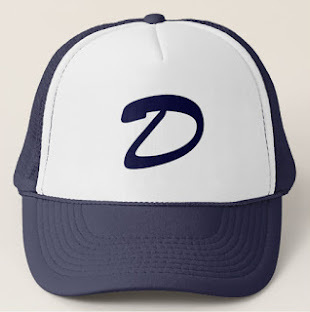 ), go back and change them! The price is on point… I can’t argue with it, because you are basically playing out 5 parts of an enjoyable extended movie… with 1 through 4 to be continued to a great ending that I refuse to spoil. I didn’t notice anything that I’d list as a con for this game but there are certain glitches… that may stem from rewinding. Even if some of you may think that cons should include some of the scenarios and not knowing how to solve them, those are categorized under challenges (because it’s still a game). This includes solving problems with rewinding time in a way that may not resemble a traditional puzzle, but it feels like it and will require some thinking (in a few areas). Something I did notice at times as far as glitches are concerned, is rewinding back and getting stuck in a weird area outside of the designated location (i.e. On the other side of a wall of a room I was just in, requiring me to reload from the last save point). It didn’t ruin the experience… but it happened, along with those times when I’d rewind back and no one would be moving their mouths in a conversation but they were still… talking. Since the characters didn’t go… Professor X all of a sudden, it’s definitely a technical hiccup. Other than that, this game avoided a con (for me) by way of not requiring players to read every journal entry, text message, etc. Optional was definitely the best move, but if the developers were to do something like this… it should be in the beginning of the episode as Max is lying in bed (not necessarily for the reader to read, but she could read segments for us to hear). Speaking of... "hearing", expect some strong language at various points. Overall, this beautifully deep cinematic experience that takes you on a ride that hopefully helps you think also, not in the way that would necessarily make you want to be the character herself… but to be a better person if you ever have the urge to bully or take advantage of someone via abusing authority, slipping someone drugs (for any number of horrible things), etc. By the way... if you have the Steam version, you now have access to the Director's commentary at no additional charge now that the limited edition boxed version is available. Enjoy! If you like our review of this game, give it a +1, and feel free to share and subscribe. 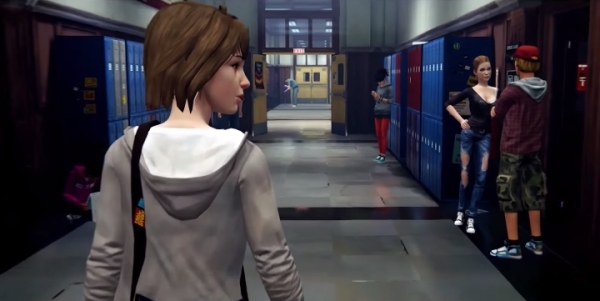 Something I found strange when it came to the ending where you choose to save Chloe... is her emotional response. They drove through town and she knows her mom was killed in the storm, but it was like it was... nothing. Even with Max, when the entered the area... one would think that she would've at least looked at Chloe and apologized, but... there was nothing. Guess they were just sticking to the title of the game on that one.